In the spirit of the season, I recently had a beauty stash spring clean: getting rid of expired and unused products, organising my collection and repurchasing essentials. Forcing myself to be really strict, I got a bit carried away and ended up chucking out of over half of my older, well-loved makeup brushes, with the idea of replacing those that I use regularly. But, instead of buying more from the usual suspects such as Real Techniques and MAC, like I always do, I finally decided to purchase a few from a brand I've intended to try for ages - Zoeva. Back in the day, MAC brushes were pretty much the only tools that dominated the beauty blogging world and it was sacrilege if you didn't own at least ten MAC 217's. 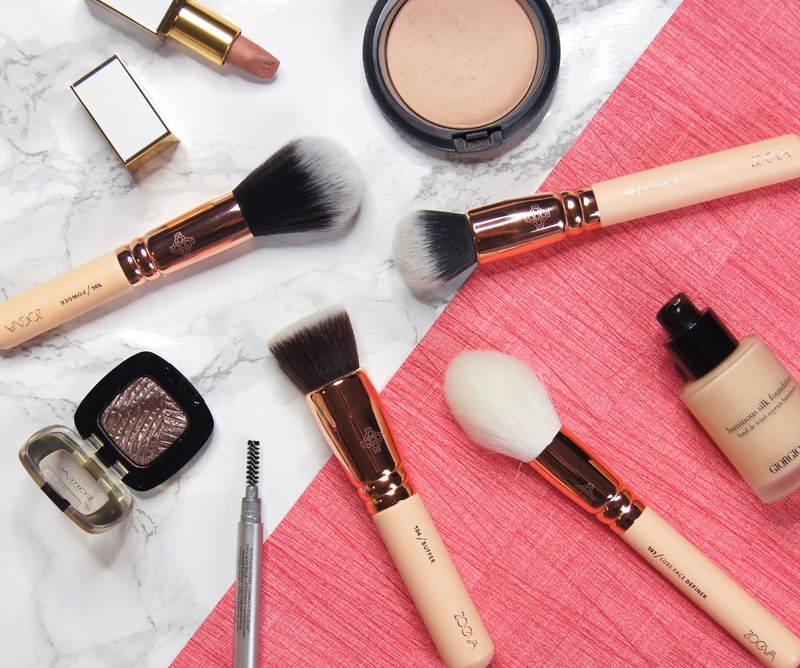 Then, Real Techniques was launched and their more affordable brushes took over my collection. More recently came the wave of exciting, kitcsh designs from the likes of Zoeva and Spectrum, which turned boring brushes into pieces of artwork and it's only now that I'm finally getting round to giving Zoeva's famous brushes a try! Zoeva is a cruelty-free brand, but not all of their products are 100% vegan. Their makeup brushes are either made up of entirely vegan taklon hair or a natural/synthetic blend of bristles. Straight away on unpacking them, you can tell the brushes are great quality, as they're super soft, feel sturdy and are beautifully packaged. Zoeva have a huge range of individual brushes, different designs and amazing value sets. For my first foray into the brand, I didn't want to purchase a full set, as they all contain some makeup brushes that I realistically wouldn't use often enough to get my money's worth. So, to get my collection started, I decided to pick up four of Zoeva's face brushes from the stunning Rose Golden Volume 2 collection. 101 Luxe Face Definer - This was the brush I was most excited about getting my hands on. The diffused tapered shape is the style I prefer to use for bronzing and achieving a softer contour, rather than a perfectly precise and chiseled finish. It's large enough that it gets the job done quickly, but the point allows you to carve out a hint of definition without creating a total mess. Despite having white bristles, it has washed really well without staining, so far. It has shed slightly during use, though. At £20, it's the most expensive brush from my order, but it's been worth the extra expense as I've used it every day since it arrived. 102 Silk Finish - I thought this brush would be a great all-rounder to add to my collection and I was spot on. Ideal for applying both cream and powder products, I've been using it most for buffing in foundation. But, it works just as well for applying blush, contour and highlighters, too. Being densely-packed and having a domed shape, it gives a really flawless, but natural finish when used with any product. The smaller size means it takes a little bit more time to buff foundation into the skin with it, but the finish is well worth spending the extra minute or so to apply. This is definitely my favourite brush of the four and it's a total must-have for anyone who hasn't tried it. I've already ordered a couple more and, at just £13, this multi-tasking brush is such a bargain. 104 Buffer - From the hype surrounding this brush, I had high hopes that it would be the perfect flat-top buffing brush for foundation. Unfortunately, though, this is the one I'm least impressed with. Although the bristles are densely-packed and it has a firm shape, the brush still has some give to it and feels really soft, which I like. The ironic issue is that I find I can't effectively buff with it, as it's too large for my face to move it around in circular motions. It's great for a speedy application of tinted moisturisers, BB creams or light foundations that blend with minimal effort. But, with fuller-coverage formulas, I find that it creates a streaky result, especially around my nose. Although it's not my favourite due to the size of the brush head, I can definitely see why it has so many fans and I think it's priced well at £15. Basically, I should have ordered the 117 Petit Defined Buffer, instead. 106 Powder - Many powder brushes on the market tend to be huge and often swamp my face, preventing me from applying powder in only the specific areas I want to mattify. This one, however, is large enough to apply powder quickly, but not so big that I end up powdering my whole face in one sweep. The hairs aren't too tightly-packed, so the brush applies a light layer of product at a time, which helps to avoid a cakey, dry look. It's the softest brush of the four and I've had no issues with it whatsoever. It hasn't shed, it cleans up really well and it's a nice compact size to slot into your bag and take on the go, for touch-ups. Considering this is the cheapest brush out of those I ordered, at just £13, it's a total winner. Now that I've tried a few of Zoeva's brushes, I'm annoyed with myself that it's taken me so long! I can't wait to pick up more from the range and get my hands on some of their eye brushes, next. 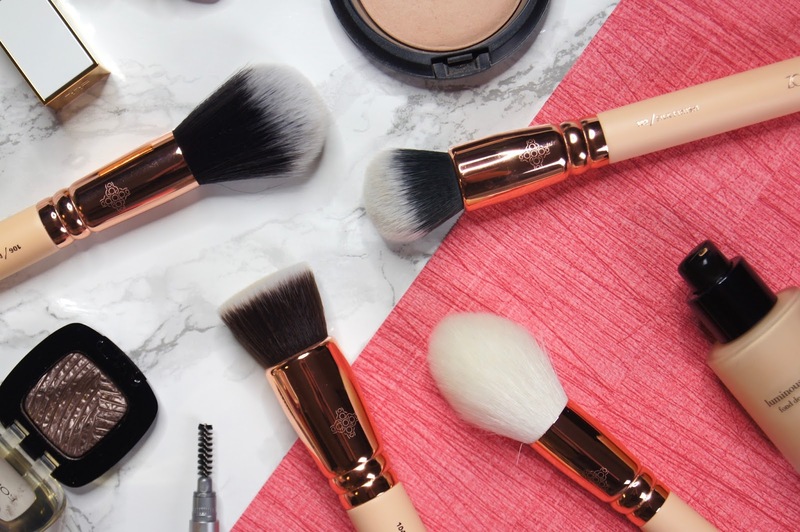 Are you a fan of Zoeva brushes? Which are your favourites? I looove the luxe face definer - its so soft! I've always fancied trying Zoeva but never gotten around to it. Hope you're having a lovely start to the week! 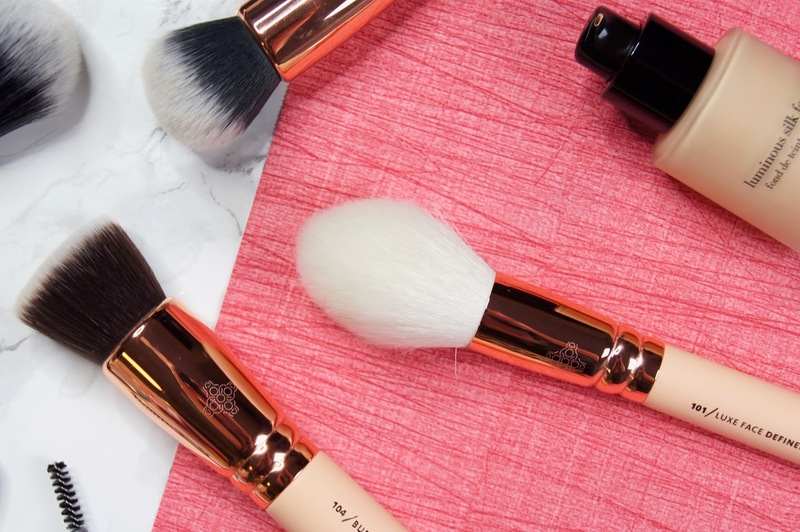 I wish Zoeva brushes were more readily available in Canada - they look like great quality brushes and affordable ones too!